What to cook tonight? Ask us! If you are looking for quality, authentic, ingredients at good prices, then look no further than our own retail store and deli - Prego Mediterranean Foods. Nelson's favourite pantry is a great place to go for a quick idea for dinner, to grab some Nelson olive oils and local cheeses, or just to have a browse. Who has never asked themselves this question before heading home at the end of the day? It's a question that's often easier to ask than it is to answer! That's were the staff at Prego come in. If you're looking for quick, easy, tasty, and economic meal ideas - then they're sure to find an answer for you. Marlborough based Mia Yealands is the brainchild for Love Thy Curry kits. Each kit comes with all the authentic spices you need, as well as a step-by-step recipe and shopping list for your fresh ingredients. These gourmet curry kits really do make preparing delicious curries quick and easy. Alexandra’s is a New Zealand company, passionate about spice and flavours, and delivering the highest quality product to customers. At Alexandras they buy the spices whole, and use the centuries old method of stone grinding. This slow massaging of the spices breaks down the particles at a low temperature, gently releasing the natural oils but retaining the nutritional value. This Morrocan Bean Tajine serves three and is ready in 20 minutes. Red Navy beans, chickpeas, currants and a range of herbs and spices make this delicious tajine perfect as an accompaniment to a meal or served on it’s own. Just add water and cook for 20 minutes. Serve with Israeli Couscous or rice with natural yoghurt/hummus and herbs. Want a quick, delicious lunch or dinner? Look for these all-natural filled pastas—ravioli and tortellini—from the oldest filled pasta producer in Italy. 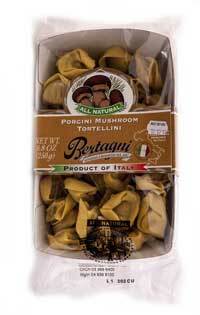 Although Bertagni today uses cutting-edge technology, the product tastes handmade—and the fillings, which are the focus of filled pasta, are mixed by hand. Recipes are developed in consultation with internationally-famous Italian chefs. These pasta are made fresh in Italy before being snap-frozen, locking in the fresh flavours. Simply bring a large pot of water to the boil, salt well, and then cooking the pasta from frozen for 3-4 minutes. Drain, serve with a good dollop of extra virgin olive oil, and top with some freshly-grated parmesan. Serves two with salad, one as a meal on it's own. Very quick, very easy, very tasty, and very economic! For a few more ideas, come and see us at 90 Collingwood St, Nelson (or park in Buxton Square and walk through Comida Cafe)!